Yes, but surely a bit of overindulgence is OK – isn’t it? Christmas is coming. We’re well in to November as this post goes to press, so even the straight-laced or scrooge-like character will very probably soon be succumbing to festive over indulgence. There’s nothing wrong with that: I’m looking forward to a break with the family and we all need to feel able to enjoy to the full the delights of the season. However, many will spend more than they can really afford to and some will be counting the cost come the New Year. Recovering from overspending can be a tough road – in business, as in life, it can lead to considerable hardship. With a little help and a little planning, that can be avoided and if it’s your business we’re talking about, Halbert Accountancy can definitely help. Turkey or Goose? How Big? For how many people? 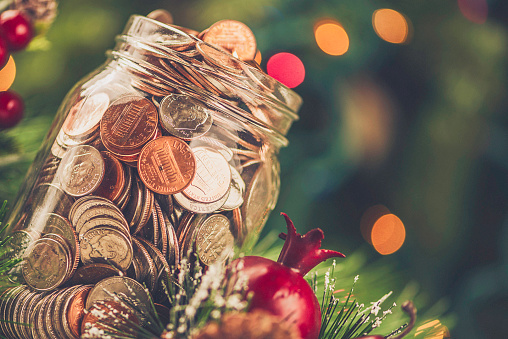 Deciding on the Christmas shopping list is, in some ways, not so different from budget planning for your business, except that the latter needs to be much more precise and carefully attended to throughout the year. Bubble and Squeak may be a tasty way to use up the mountain of leftovers on Boxing Day, but no one wants to be hashing together bits and pieces of a forgotten financial plan, come the end of January. However, establishing a budget that realistically estimates your projected expenses through the business year and then breaking that down month by month, understanding where spikes may occur in costs and being prepared to regularly review the forecasts against actual turnover is not, let’s face it, the most enticing aspect of running your own business. At any time, it’s all too easy to get caught up in the excitement of the moment: new ideas, opportunities to expand and incentives to take risks, even if we do have half an eye on the costs. At home, especially at Christmas, getting a bit carried away might include spending on gifts for the family, stocking up on an excess of food and drink, potential holidays or days out, additional fuel bills (for both home and car) and borrowing or diverting extra cash for hosting family members and friends. A few of those items could be looked at a little more closely and perhaps some money saved, for example – by deciding what’s a priority or a necessity; what might be achieved at less cost than first anticipated or even, dare I say, what might be cut from the budget altogether. That’s the kind of careful and responsible thinking that we don’t always demand of ourselves at Christmas, but must adopt in our business lives. At Halbert Accountancy the Platinum Plan brings together a number of ideas designed to help you better manage your business budget. This service is for businesses who want to actively manage their finances throughout the year. The essential purpose of the Platinum Plan is to help you make good decisions and derive real benefit from the independent, objective overview and input of proactive accountancy services. The plan offers regular guidance and support, so you’re on top of the finances and can focus on other aspects of the business. Ultimately, the purpose of the Platinum Plan is to focus on making sure you meet the profit targets you have set for the year. To learn more have a look on our website at http://www.halbertaccountancy.co.uk/services/ , join our private facebook group ‘Money Matters’ at https://www.facebook.com/groups/637163726446317/ or follow our twitter feed @HAccountancy. Or contact us on info@halbertaccountancy.co.uk, t: 07803121635.